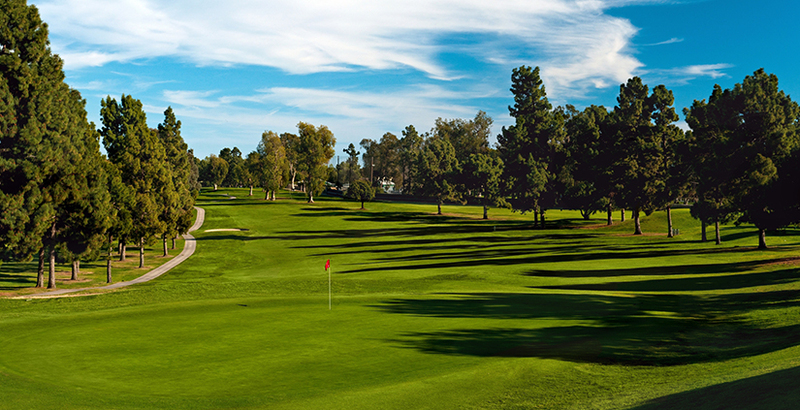 Recreation Park 18, otherwise known as "Big Rec," is a classic Billy Bell-designed layout and is one of the oldest and most popular courses in Southern California. Recreation Park's clubhouse is a historical landmark nestled in the trees among beautiful rolling hills. Recreation Park 18 features a beautiful 18-hole layout with rolling terrain and various types of trees lining the fairways. Cart Rental: All electric carts feature state-of-the-art GPS for accurate yardage. Chipping Green(s): Multiple practice greens to hone your short game skills. Driving Range: Fully lit practice facility, open from sun-up to 9:00 PM daily. Onsite Pro: Staffed with two Class A PGA Teaching Professionals. Individual and group lessons available. Practice Bunker(s): Both short and long range bunker shots available from our multiple practice bunkers. Pro Shop: Fully stocked with the latest in golf apparel and equipment. Open one hour before sunlight and closes one hour after sunset. Pull Cart: Available upon request. Putting Green(s): Two oversized practice greens. Perfect for warming up your putter and your stroke. Restaurant: Large menu options and friendly service for breakfast and lunch. Comfortable seating and cozy bar convenient for watching the big game or the final round on the two large screen Hi-Def televisions. Snack Bar: Conveniently located on the 8th and 12th holes. Perfect location for ice cold drinks, alcoholic beverages or BBQ meal.